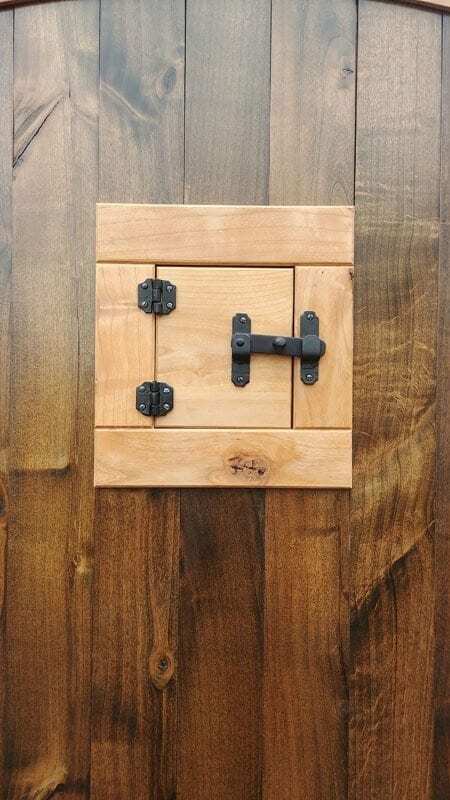 Inspired by the Prohibition Era and the days of the speakeasy, you don’t need to be a bootlegger to appreciate this sturdy portal. 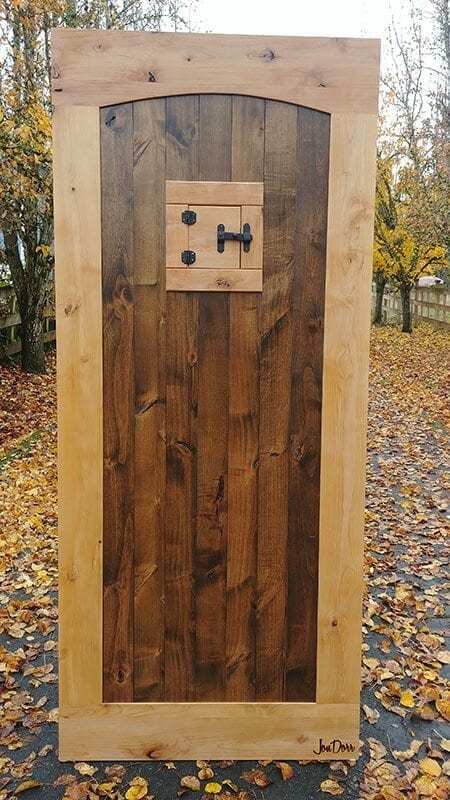 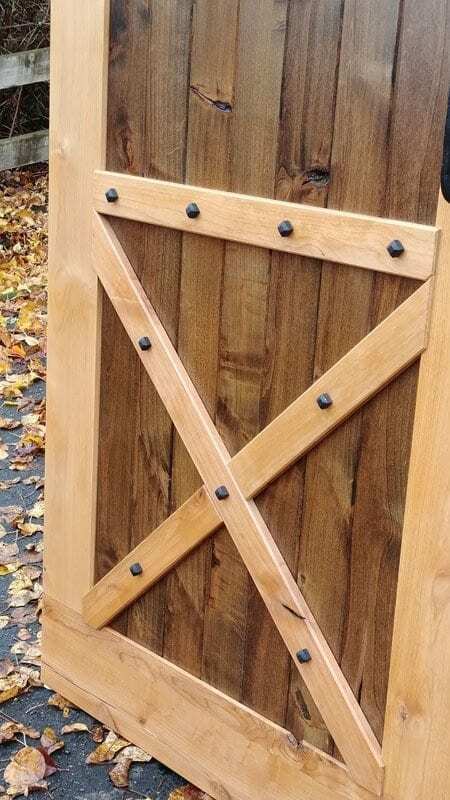 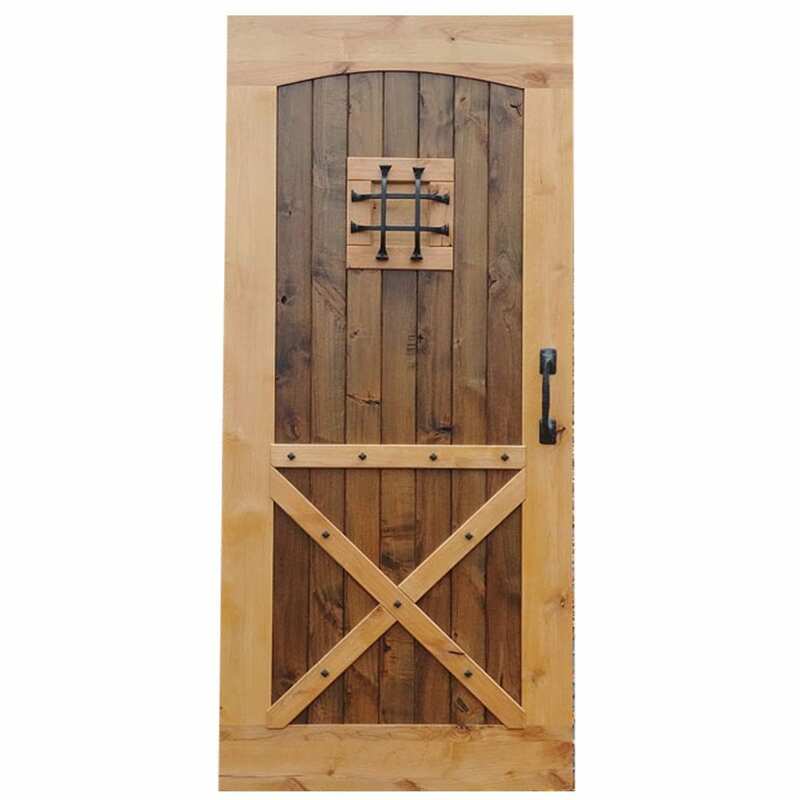 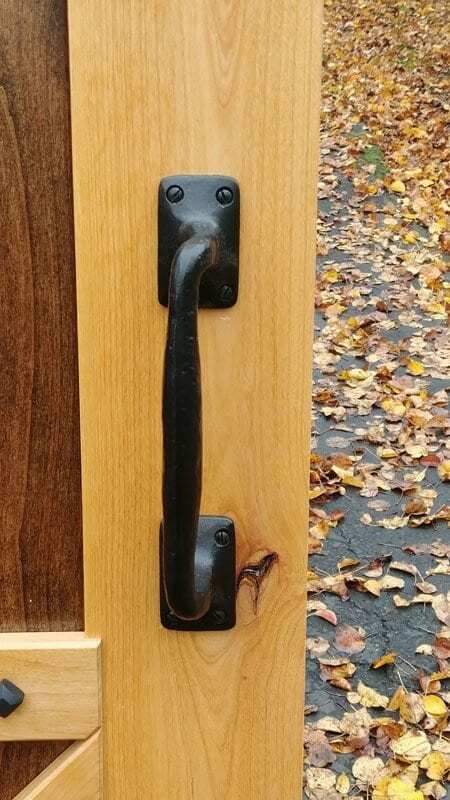 While the center of the door is constructed from tongue-in-groove rustic knotty alder stained a warm brown, the stiles and rails are natural alder with lovely details like a central arched cut. 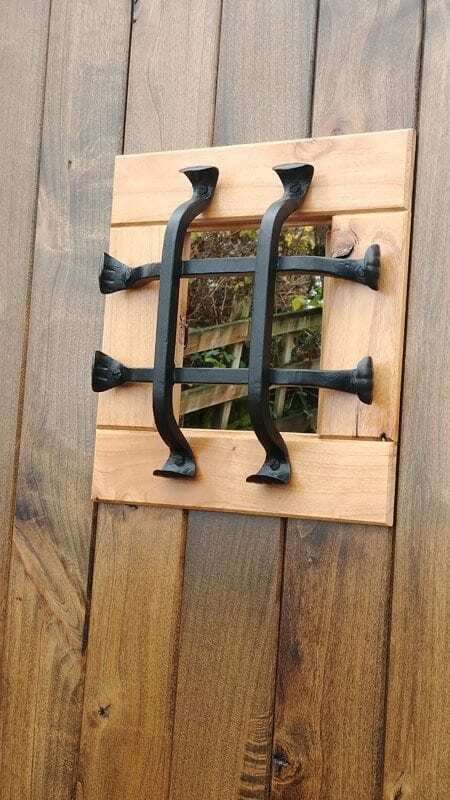 Mortise and tenon joinery and chunky pyramid head, hand forged screws are used with the detailing on the bottom half of the door and, saving the best for last, we love the small functional window. 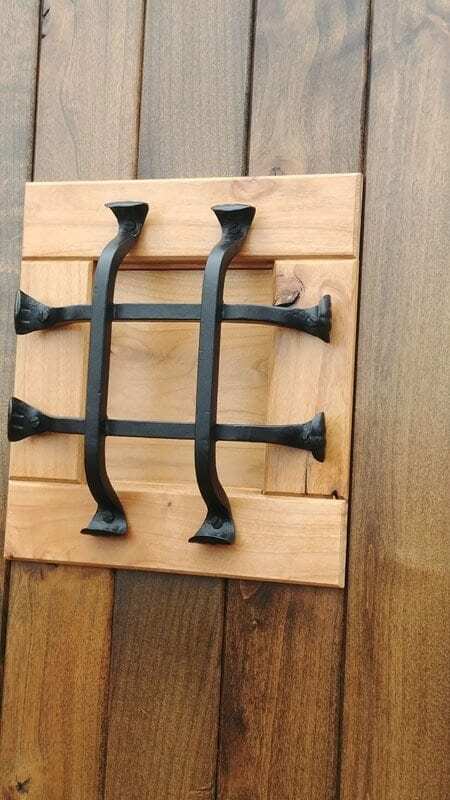 With cast iron fittings and handle, the Capone is a playful, historically rooted portal that, perhaps needless to say, would create the perfect entryway to a lounge, bar or man-cave.